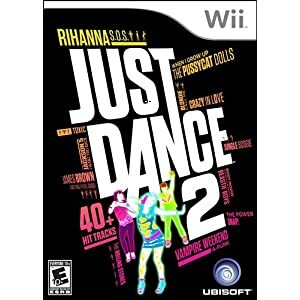 Just Dance 2 Wii Get grooving with 44 all new tracks including classic hits and today’s top chart hits! The original dance sensation with over 30 top hits and classic songs to dance the night away with family and friends. Kids will love dancing along with over 40 songs designed by real choreographers and led by real kids! Dance along to all of the great Michael Jackson sensations and learn some of the best Michael Jackson moves! 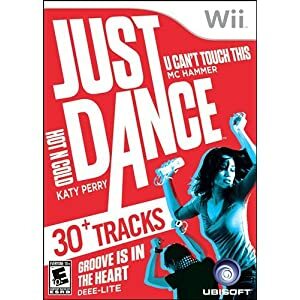 The new Wii Just Dance game, Wii Just Dance 2, is an updated and much better version of the original Just Dance Wii game. The original was a lot of fun to play, but always felt a little half-baked. This is a much more finished product, while it maintains all of the multiplayer fun that made the original Just Dance Wii game so much fun for groups of friends and parties. The game comes with some amazing visuals, great music and hilarious choreography that will get any group of friends playing it howling with laughter at their friends’ ludicrousness. The controls for Wii Just Dance 2 are remarkably simple, which makes it accessible for everyone. 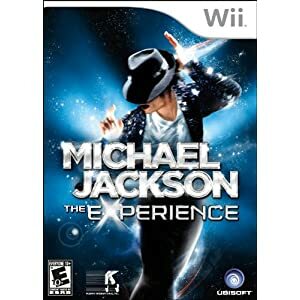 Players simply pick up the Wii remote with their right hand, select a song and then mimic the movements of the dancer on the screen. Each move is awarded a rating of perfect, good, OK or bad. The points are added up and then players can see how well they performed against their friends at the end of the song. This is one reason it is so great for groups. The mixture of the music is one of the best features of this game. There are 44 tracks from which to choose, covering a large swath of musical genres. There are electronic hits from artists like Fatboy Slim, pop selections from musicians like Katy Perry, indie hits from performers like Vampire Weekend and even silly tunes like Monster Mash. The moves for each song are designed to be hilarious, yet they all match up well with their respective songs. Watching your friends make hilarious movements is definitely one of the highlights of this new Just Dance Wii game. The one big negative about this game is the lack of depth and difficulty. It is impossible to fail a song and there is no career mode to increase your performance level. This can make it playing alone an exercise in boredom. Most people will only find enjoyment in the game if they have a group of friends together. This new Wii Just Dance game has a number of new features. There is a Dance Battle feature that allows two teams of up to four players each. The teams battle it out over four minigames to rack up the most points. The minigames are quite fun, including Simon Says and Race. Duets is a feature that has two players dance together doing all sorts of crazy moves like pirouettes and jumps. It is by far the funniest part of the game. There is also a feature to purchase new songs for 300 points from the Wii shopping channel. 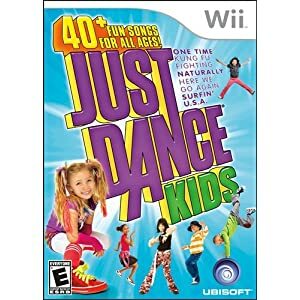 Wii Just Dance 2 is a tremendous amount of fun that will get players’ hearts pumping and sides shaking with laughter. It is a game that will see a lot of use in a group setting, but it will gather dust when a person spends a lot of time alone.